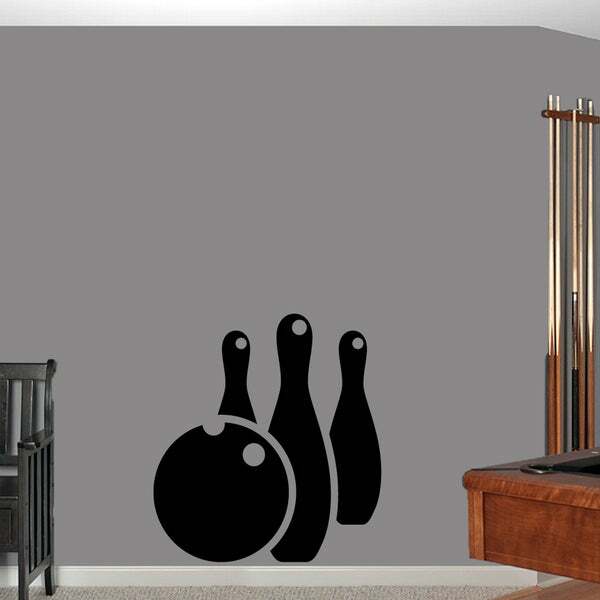 Show off your love of bowling while adding a fun, attractive accent to your wall with this bowling ball and pins wall decal. Measuring 33 inches wide by 36 inches tall, this large wall decal is available in a huge variety of colors. In 2007, Sweetums Signatures was born! Made and produced right here in Ohio, we are a small business tailoring to the decor and service needs of our customers. From indoor wall decals to outdoor signage, we are built on core values of hard work, family, and delivering on our promises to our customers. We believe that every home deserves a designer look without a designer price tag.